Preston Village WI was founded in 1986. 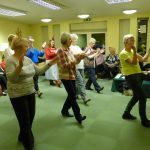 We are a small urban evening WI in Hollingdean, Brighton. 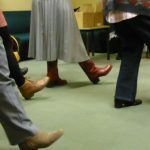 At present we have 22 members of all ages from the Brighton and Hove area. 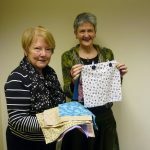 We hold friendly meetings with interesting speakers and enjoy other activities including crafts, scrabble and outings. We welcome new members and visitors. At our monthly meeting members have enjoyed a variety of speakers on subjects including Art Deco, the RNLI and bees. 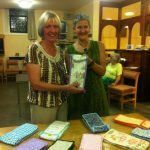 We organise events including our bumper Winter Fair and have just started a craft group. We also arrange outings during the year. 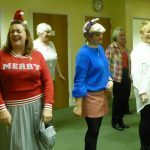 At our Christmas Party we enjoyed learning how to line dance with guidance from Jan and music from Linda, both from Bevendean Buddies WI. 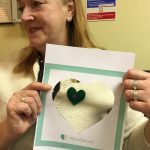 Two members have made syringe driver covers and catheter bag covers for the Martlets Hospice in Hove to make a necessary item look a little more cheerful. 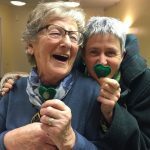 Some of the Green Hearts made by members as part of the Climate Change Campaign.